Just like how the blue cheese & scallion biscuits are my go-to thing to do with blue cheese, these are my default option when it comes to a cookie craving. 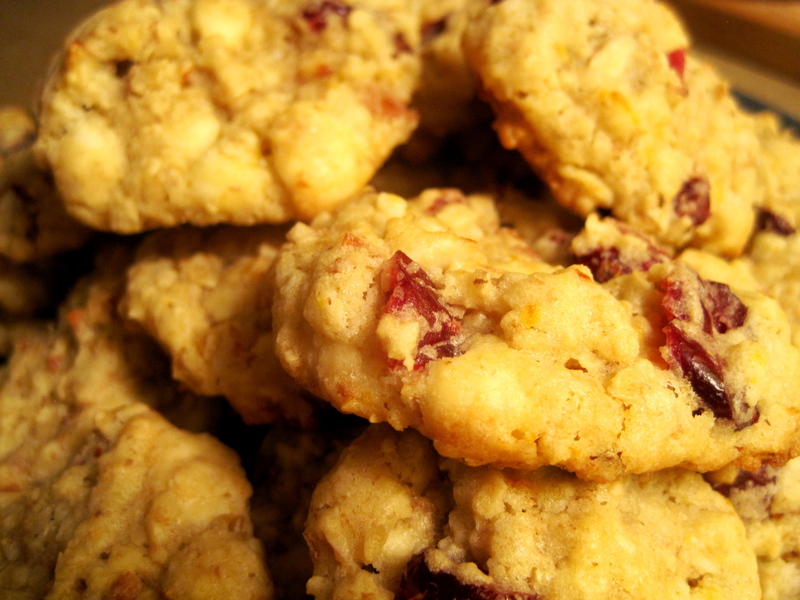 I know the title is a little wordy, but I had to emphasize how stuffed with delicious things these cookies are. Sometimes I’m in the mood for one or two clean, simple flavors that shine on their own and emphasize each other perfectly, and sometimes I feel more like piling on ALL THE FLAVORS and seeing what happens (as usually happens with pizza). 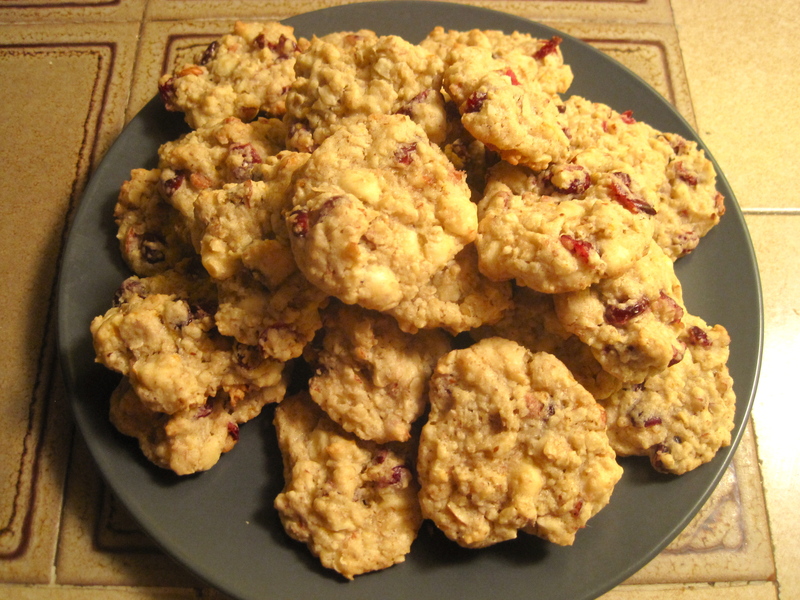 But these cookies have lots of flavors that happen to complement each other perfectly and shine together so well that there’s pretty much no time I’m not in the mood for them. Real talk. 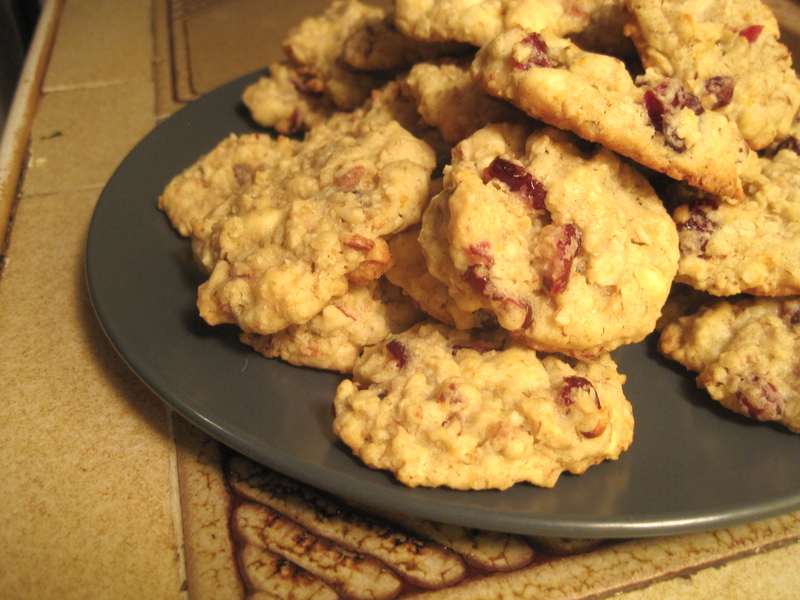 I usually have big Costco bags of dried cranberries and slivered almonds around anyway, and so when I’m feeling lazy/faux-healthy I’ll leave the white chocolate out and the cookies are just as good, but I definitely recommend trying it with them if you’re at all a fan of white chocolate. Preheat oven to 375 F and butter or line a baking sheet. Beat the butter and sugar together until fluffy. 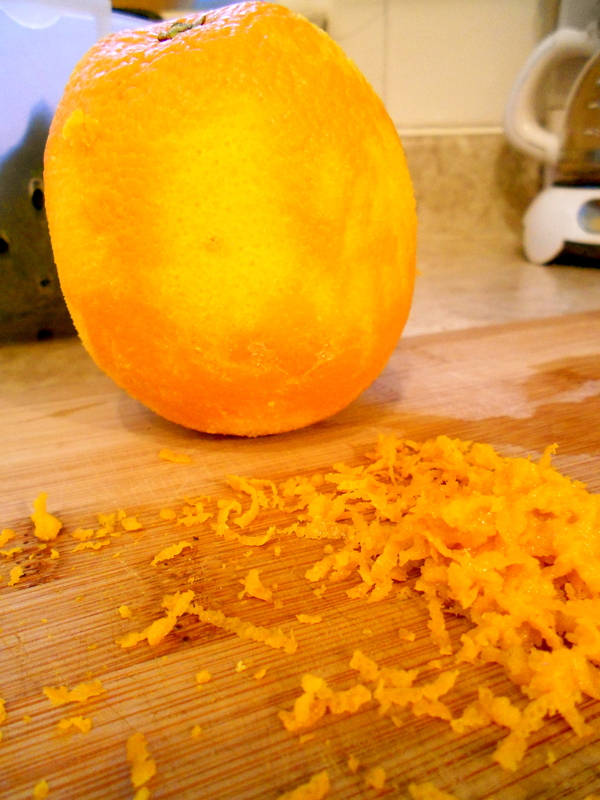 Beat in the egg and citrus rind. In a separate bowl (you can get away with doing everything in one bowl as well, works well when in the aforementioned lazy mood) mix together oats, flour, baking powder, baking soda, and salt. 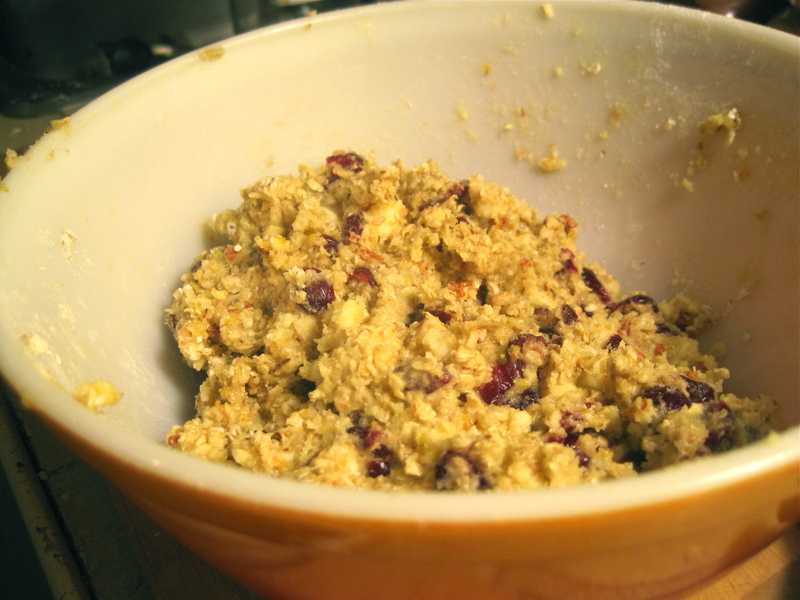 Stir dry mixture into the wet along with the chocolate chips, cranberries, and almonds until blended. 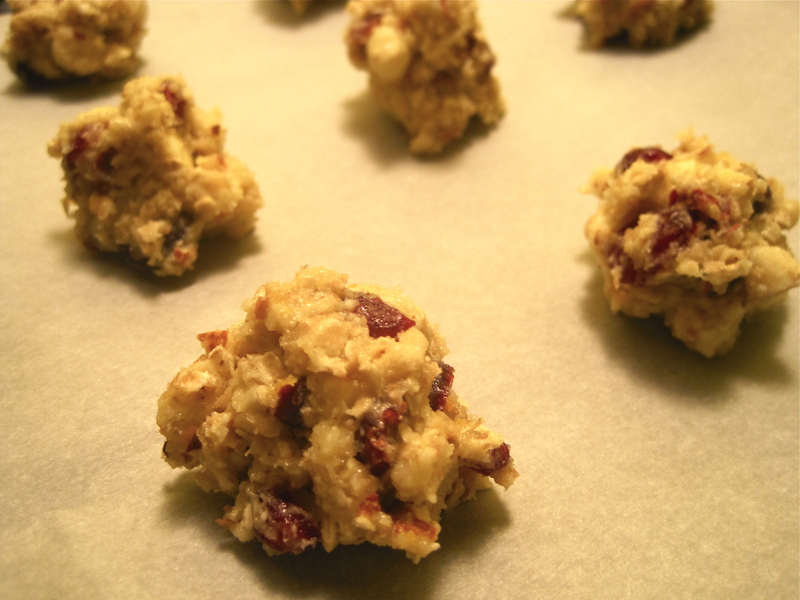 Drop by heaping spoonfuls about 2 inches apart onto prepared baking sheets. Bake at 375 F for about 10 minutes.